If you’re looking for the easiest ways to take screenshots on laptop, you’ve come to the right place. This article shows you how to take screenshots on laptop quickly and easily. Just try the tips below. How to take screenshots on laptop easily? If you want to take screenshots on your laptop and then use them in an app, the quickest way is using Windows keyboard shortcuts. If you want to take a screenshot of the entire screen, press the Print Screen or PrtSc key. The entire screen will be captured and automatically copied to the Windows clipboard. Then you can paste the screenshot into Paint, Word or any other apps. If you want to take a screenshot of an active window, press Alt+PrtScn. Select the window you want to capture, then press the Alt and PrtScn keys at the same time, and the picture will be taken and copied to the clipboard. Note: You can only use these Windows keyboard shortcuts to capture the entire screen or a single window. If you want to capture a selected area and edit the screenshot, you need to use other methods — try Tip 2 or 3, below. 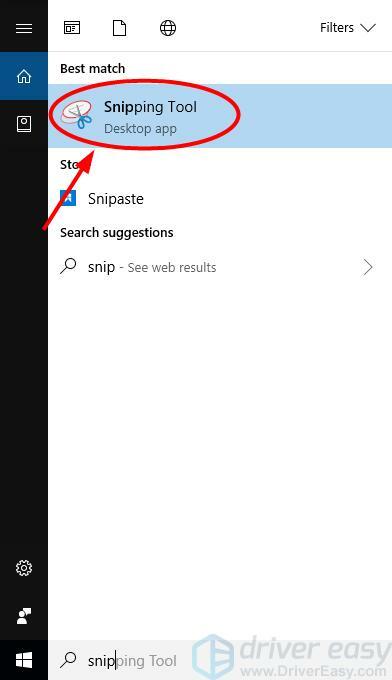 Type snip in the Windows search box, and select Snipping Tool from the results. 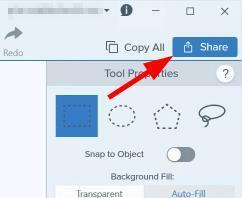 At Snipping Tool, click New to capture a screenshot. Note: If you want to cancel, press Esc before you click. Note: You can save the picture in PNG or JPEG format. Note: If you want to do some special editing with your screenshots and then share them with your pals, you can try Tip 3, below. There are many screenshot apps available on the Web. Among them, we recommend Snagit. Snagit is a screenshot program with image editing and screen recording features. You can use it to take a screenshot quickly, you can edit the screenshot easily with its advanced image editing tools, and you can even capture videos. Move the pointer to where you want to start the screenshot, then drag to select an area. Or hover over a window or area to auto-select it, then left click your mouse to capture the area. Edit your image in the pop-up Snagit Editor window. You can add shapes, text, effects, or make adjustments to your image. Save your image or click the Share button in the upper right corner to share the image. 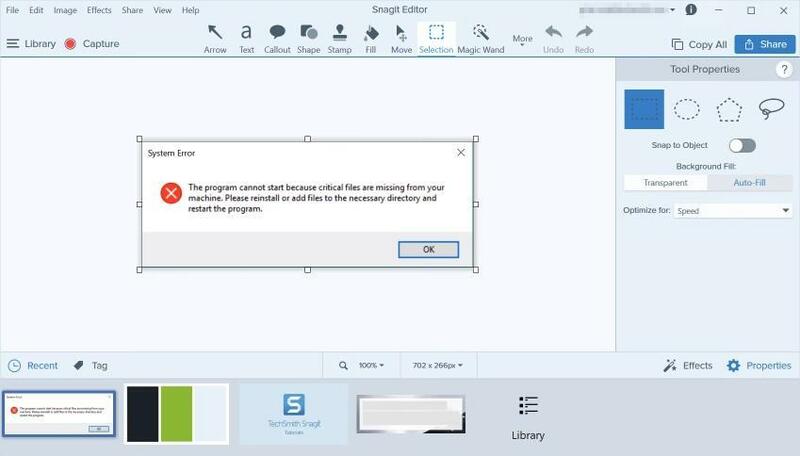 Note: You can only try the full version of Snagit for 15 days. You’ll need to purchase it when the free trial is over. If you have any other suggestions, please feel free to leave a comment below.